Byron Schenkman & Friends is a “wide-ranging and imaginatively conceived concert series” (Seattle Times) founded in 2013 to bring new light to Baroque and Classical chamber music at Seattle’s Benaroya Hall and beyond. In addition to an annual six-concert series in Seattle, BS&F has been presented by the Anacortes Arts Foundation, Camerata Musica (Richland, WA), Early Music Society of the Islands (Victoria, BC) and Early Music Vancouver. 2017 marked a new collaboration between BS&F and the Portland Baroque Orchestra, joining together to present concerts in Portland, Mount Vernon, Seattle, and in 2019 in New York. Each concert by Byron Schenkman & Friends revolves around a particular theme, often exploring relationships of composers to each other and to their times. Familiar composers and works are juxtaposed with more surprising discoveries, including music by women such as Isabella Leonarda, Elisabeth Jacquet de la Guerre, Helene Liebmann, Fanny Mendelssohn, and Clara Schumann. 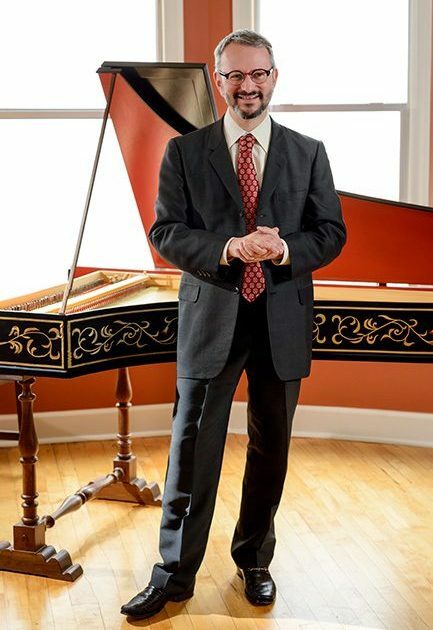 In 2017 BS&F published its first CD, The Art of the Harpsichord, featuring Byron Schenkman performing on eight antique harpsichords from the 16th through 18th centuries in the National Music Museum, Vermillion, South Dakota. A second CD, Sonatas of Domenico Scarlatti, also featuring Mr. Schenkman, was released in June 2018. The sonatas were recorded on four antique instruments also at The National Music Museum. Mr. Schenkman explores the work of this beloved keyboard composer on three contrasting harpsichords and an early piano, including two 18th-century Portuguese instruments much like instruments Scarlatti himself would have played.